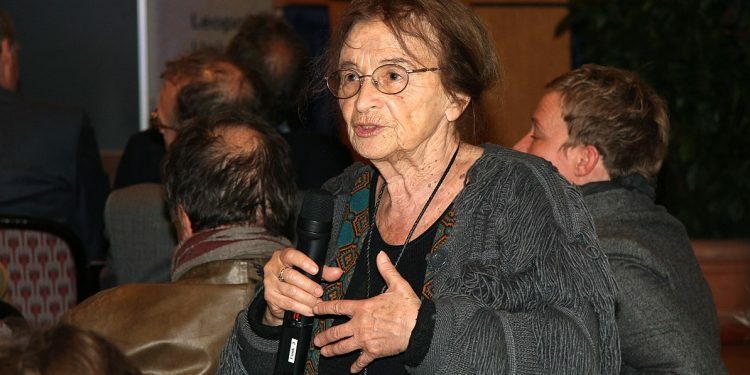 “Good persons exist, how are they possible?” With this question, inimitable Hungarian philosopher Agnes Heller outlines her philosophical territory. As readers of critical theory, it is hard to know how to begin expressing our admiration for the energetic grande dame of our tradition. One anecdote might suffice: Heller’s mentor, the great, but perpetually troubled, Hungarian philosopher György Lukács, wanted his apprentice to write a thesis about Lenin’s ethics. She could not abide this. “Lenin had no ethics,” she says, because ethical action is a matter of individuals’ subjective motivations — our social experiences, reflections, and personal intentions — not the product of a crudely mechanical historical process deduced and disseminated by party leaders. Influenced by the events of 1968, Heller’s self-described “new-leftist book” The Theory of Need in Marx has finally been republished as part of Verso’s celebrated Radical Thinkers series. At the time of writing, the Hungarian authorities would not allow her to travel, lecture at home or abroad, or even have a job due to her “anti-communist mind.”  The truth is that Heller challenges a version of Marx for whom technology and practical know-how are historically independent factors in a developmental story about production. She argues instead that Marx’s real concern was with humanity’s radical material, cultural, and spiritual needs. This forms the paradox of Marx’s theory of alienation. Alienation produces needs pointing towards the transcendence of capitalism, transforming radical theory into a material force. However, this transcendence can only be achieved if the need for it already exists, and we can create social institutions corresponding to our needs. There is, however, no guarantee that these needs are embodied or activated by the revolutionary struggle of the working class. Heller demonstrates this by entwining two still-detachable strands of argument. She offers an interpretation of Marx’s theory of need, which serves as the foundation of the three “discoveries” of his later writings (labor-power, surplus-value, and use-value) and plays “the hidden but principle role” (27) in his economic categories. Heller’s modesty means she denies that she develops her own theory of needs in the book. However, she clearly offers us a theory of alienation and its transcendence, motivated by the question of how radical theory can become practice, gripping us by actualizing our “radical needs.” This forms Heller’s main argument: radical needs are those basic human needs for creative self-objectification and community that are inherent to the functioning of capitalist society — it endlessly reproduces these needs, but they are essentially unsatisfiable within it. Heller’s starting point is to interpret Marx’s demystifying definition of the commodity — the “elementary form” and embryonic contradiction of capitalist societies — as something that “satisfies human needs.”  Marx never explicitly defines “needs.” offering a circular description instead: need-satisfaction is the condition for the existence of a commodity because exchange-value cannot appear without need-satisfying use-values, but use-values can exist without exchange-value if they satisfy needs, which defines a use-value. To make sense of this, Heller describes Marx’s two linked anthropological categories of “need”: survival-geared “natural” needs (e.g., food, warmth, clothing, shelter) and “social” needs. “Natural” needs are, however, changed by their social satisfaction because human needs differ from those of animals as humanity pushes back and socializes nature, armed with industrial technology. The socially-produced character of “natural” needs means that, for Heller, only social needs exist, though nature remains “the existential limit to the satisfaction of needs,” (33) the limit of the reproduction of human life itself. For Heller, a “need” is also an unequal subject-object correlation, (34) but it makes no sense to talk about the satisfaction of a “need” in the singular because each social formation throughout human history is characterised by its own distinctive system of needs. Our needs are always guided by specific desires, passions, longings, and productive capacities. The relation between desire and its object is, however, always alienated, because the constant production of new needs spiritually impoverishes us. This impoverishment occurs through the inversion of the relation between means and ends, quality and quantity. Not only does the capitalist mode of production turn every end (i.e., creative self-objectification) into a means for the satisfaction of private ends (i.e., capital accumulation), and every means (i.e., labour) into an end in itself, it alienates us from our needs by turning qualitative needs into the infinitely insatiable quantitative “need to have” (57): the need for more possessions, money, fame, or power because what we are and what we have is never enough. In Heller’s later view, human freedom can only be brought about by pluralistic movements for social justice, anticipated by her statement that rebellion against the manipulation of needs in advanced consumer societies is of the “utmost importance.” (52) However, Heller’s is subtly different from the discussions of revolt against need-manipulation offered by new-leftist peers like Herbert Marcuse and André Gorz, and she criticises the consumer society as much as she does Eastern Bloc dictatorships. Marcuse and Gorz both thought of the revolutionary subject by identifying radical needs with the radical oppression of certain groups (the working class, women, homosexuals, ethnic minorities, or students). Heller’s approach, however, is to separate the theory of need from the theory of class, re-evaluating the latter by refusing to arbitrarily identify which qualitative needs are unsatisfiable under capitalism. Official Marxism, meanwhile, manipulatively stated that proletarian “class interests” were opposed to the contradictory relationship between “particular” and “general” interests in bourgeois civil society. For Heller, this exposes the limitations of the worldview assumed by those regimes: they are unable to think of transcending the fetishization of needs within the capitalist system of needs. Heller’s compelling main thesis is that the inherence, endless reproduction, and necessary unsatisfiability of radical needs in capitalist society means that “it is not the Being of radical needs that transcends capitalism, but their satisfaction” (76); the mere existence of radical needs does not necessitate the coming of the society of associated producers, let alone actively bringing about a truly just social order. Though, again, it need not be the working classes, this antinomy can be resolved only by the activity of the bearers of an ethical imperative — the “collective Ought” — for whom radical needs arise under capitalism. That is, us: individuals who develop their personal qualities, attributes, and abilities in relation to the human species, but who, materially and spiritually impoverished, our talents frustrated and wasted by the social division of labour as the species is materially enriched, do not participate in the wealth of the social whole. Version one, a Fichtean “existential opportunism,” holds that alienation stimulates and is embodied by transcendent radical needs transforming the subject into the collective. This is because this view takes the commodity as the embryo and form of movement of the antinomies of capitalist society as a whole, which confront us as quasi-natural economic laws shattered only by “total social revolution.” (81) However, in version two, a Hegelian “economic necessitarianism,” inherent economic laws — the conflict between the productive forces and relations of production — do not merely confront us in a fetishized form, but themselves causally necessitate and transform the collective Ought. Here, Heller finds a paradox: that “if the negation of the negation were a natural law, no kind of radical need whatever would be necessary for the downfall of capitalism.” (79) All we would have to do is sit and wait, patiently observing history’s mechanical cogs turn, or leaving an empty chair at the table of political concepts so the communist Messiah might join us for dinner. The threat of cosmic contingency is coeval with the emergence of the modern mechanistic view of the universe, with the substitution of the infinite matter of the immense necropolis for the living and ensouled divine Cosmos, and of the brave new world where the single person is just a Zero, where he or she does not count, and where God is dead, for the eternal governance is lost. Despite the popularity of Bernie Sanders in America and Jeremy Corbyn in the UK, social democratic parties are in decline, and mainstream politicians have largely abandoned a universal class-oriented project. America is currently governed by what Timothy Snyder has called a Russian-style “sado-populist” oligarchy, and throughout Europe, from the “Brexiteers” to Germany’s AfD, Poland’s Law and Justice Party, and Hungary’s Fidesz, there’s a renewed flirtation with strongman jingoism adapted for specific nationalistic delusions. Certain tendencies in left-wing activism lean towards self-cannibalizing factionalism, clashing with a far-right fired by anti-Semitic conspiracy theories about “cultural Marxism” recalling the fascist attack on Jewish “cultural Bolshevism.” This cannot be exposed or reiterated enough. freedom, democracy, and even work no longer have an intrinsic value. … Unlike the revolting youth of 1968, these youths do not entertain utopian ideas; they say only “no” and never “yes.” They express in rage that they do not belong to any society at all, and they do not carry any sense of responsibility. Whatever we make of this claim, it marks the unrelenting courage of Agnes Heller’s convictions before and after her break with Marx. Far from vainly asserting that we know how to build a totally “just” society, Heller’s Marx gives us a vocabulary for talking about human values and dignity, but without any guarantees. Heller’s focus on the needs of alienated individuals anticipates her later critique of the unsatisfiability of our needs and desires within any of the social worlds we presently imagine. The task, then, is precisely to set ourselves to work imagining something new, letting the soul burn with the flames of a political imagination that once fueled utopian desires, while remaining healthily skeptical of putting utopian models into practice. Max L. Feldman is a writer, art critic, and adjunct instructor-type based in Vienna, Austria. He is currently studying for a PhD in Philosophy at The Academy of Fine Arts, Vienna. 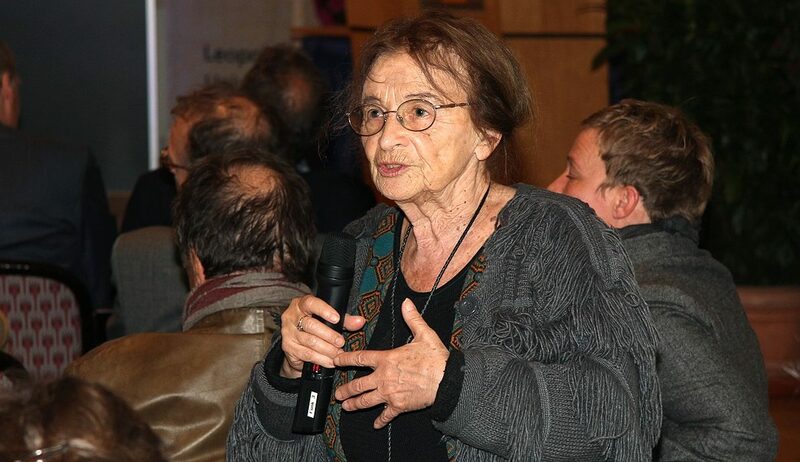 Agnes Heller, A Short History of My Philosophy (Plymouth: Lexington Books, 2011), p. 9-10. Agnes Heller, The Theory of Need in Marx (London: Verso, 2018). References given in-text. Heller, A Short History of My Philosophy, p. 23. Agnes Heller, A Theory of History (London: Routledge & Kegan Paul, 1982), Ch.1; Agnes Heller, A Theory of Modernity (Oxford: Blackwell, 1999), Ch.1. Agnes Heller, A Theory of Modernity, p. 4. Agnes Heller, A Short History of My Philosophy, p. 8. Karl Marx, Capital: A Critique of Political Economy, Vol.1 , translated by Ben Fowkes (London: Penguin, 1976), p. 125. Jean Cohen, ‘The Theory of Need in Marx’, Telos, 33 (1977), 170-184, p. 177. Heller, A Short History of My Philosophy, p. 39. Charles Dickens, Hard Times: For These Times, edited by Kate Flint (London: Penguin, 1995), p. 72. Heller, A Theory of Modernity, p. 6.